The other day we were out with a friend who was treating us for lunch. When it came time for paying the bill, she busted out her checkbook and started writing a check. “The chip on my credit card is broken, and all I have is my checkbook,” she explained. Kate and I offered to pay the tab, but she insisted. The waiter came back to pick up the bill. He was a young guy. Probably twenty. He looked at the check inquisitively. “A check,” my friend replied. “Oh, yeah,” the waiter responded hesitantly. He left to speak with his manager, but returned a minute later. “Sorry, but we don’t accept checks. I should have realized that. But I’ve never really seen checks, so it caught me off guard at first. I think I’ve only written one myself in my entire life,” the waiter said with a sheepish laugh. Kate and I ended up picking up the tab after all, but the experience left me thinking that, as extremely basic as it seems to us older folks, there are probably a lot of young men out there who don’t have much experience with checks and maybe haven’t yet written a single one thanks to the proliferation of debit and credit cards, as well as easy-pay apps like PayPal and Venmo (which you can now even use at some retail establishments). While checks are increasingly rejected as a form of payment at establishments like the restaurant we dined at, and will continue their slow fade, the need to write one still pops up from time to time. For example, my son is selling popcorn for Cub Scouts. They don’t accept cards or cash, only checks. And I write checks all the time for my business. Even with online payment services, many companies prefer being paid by a paper check for bookkeeping purposes. Also, if you run a business, oftentimes you’ll be making payments that well exceed your card’s daily transaction limit. A paper check avoids that problem. 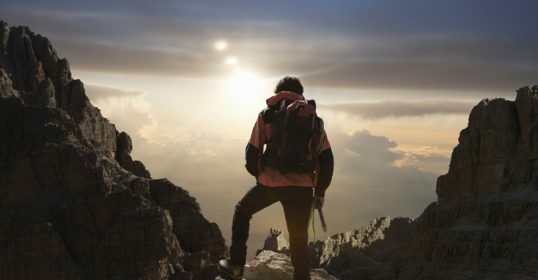 For young men heading out on their own, there’s a chance they’ll need to pay with a check for the security deposit/first month’s rent on their first apartment. 1) Date your check. It should be the date that you’re writing and signing the check. You may have heard that you can post-date a check (writing a future date on the date line) to ensure the payee can’t deposit or cash the check until that later date. You’d do this if you don’t have the money in your checking account to cover the check that day, but will on the post-date. In some countries that works, but it doesn’t in the U.S. An American bank can still cash a post-dated check. If it bounces, you’re guilty of writing a “hot check” — a crime in most states. Bottom line: only write a check if you know you have the funds in your account to cover it. 2) Write the name of the person or business you’re paying next to “Pay to the order of.” Get the name correct and make sure it’s legible. If it’s not, the person or business may not be able to cash it. 3) Write the amount of the check in numeric format. You should start as far over to the left as possible. This prevents anybody from slipping in an extra number or two. 4) Write out the amount of the check in words. For the cents part, you can use words just as you did for the dollar part, or, you can use a fraction with 100 as the denominator. Make sure the written-out amount matches the numeric amount. If it doesn’t, then the payee won’t be able to cash or deposit the check. 5) Sign the check. Apply your John Hancock. 6) Use the memo to write a short note on what the check is for. This is typically optional, but helps with accounting. If you’re paying a bill or invoice, companies will often ask that you write the invoice number on the memo line. If you pay your tax bill with a check, you’ll need to include your Social Security Number. 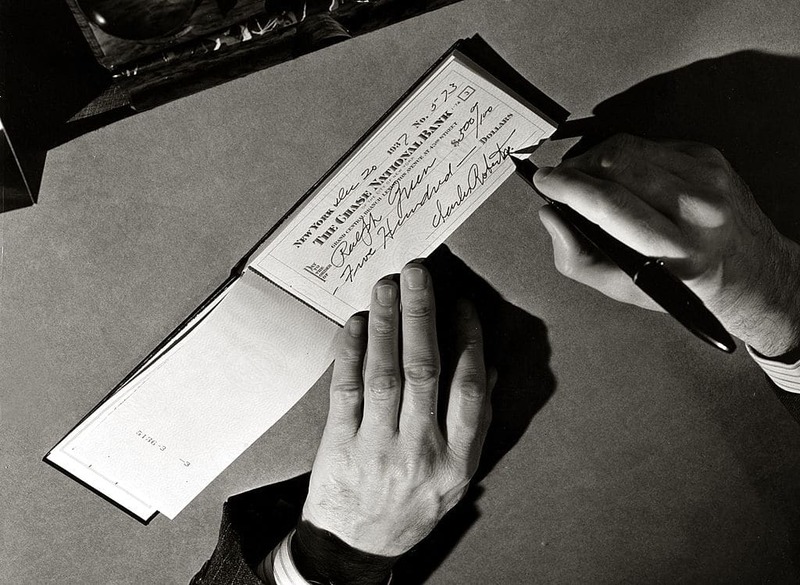 There you go, young gents: how to write a check. If you find yourself needing to use a pager, fax machine, or CD player, you’re on your own.